Download Social Media UI Kit Free PSD. 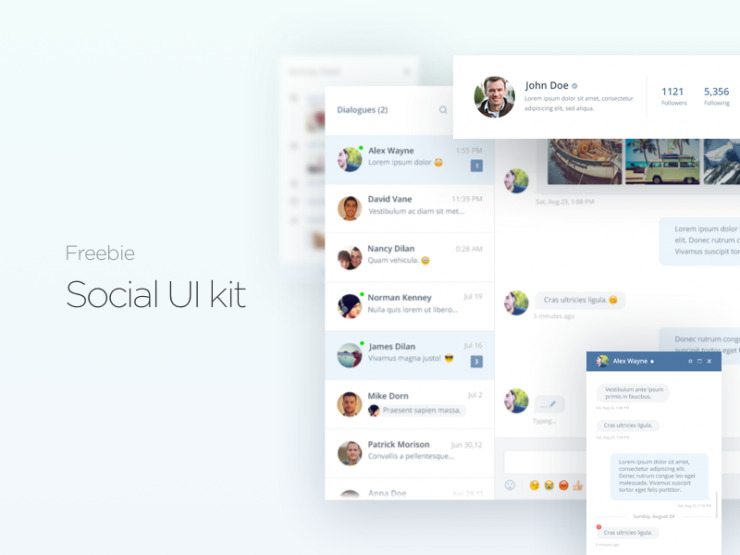 This Social Media UI Kit Free PSD clean and modern, with light color scheme. All UI kit elements are organized in folders and layers are named accordingly to make it easier for you to do changes. These are the PSD files you will get if you download this free psd resource: user profile, web navigation, chat & messenger, new feed, friends & groups, etc. Hope you like this Social Media App UI Kit Free PSD. Enjoy!